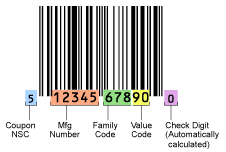 There are a variety of different types of barcodes. 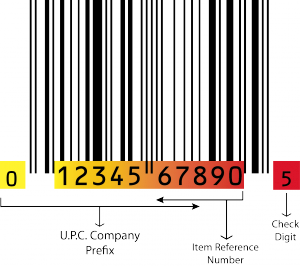 However, the UPC symbol is the most recognized barcode in the United States, since it appears on almost every retail product. The UPC (Universal Product Number) symbol is the barcode representation of the GTIN-12 which consists of twelve numeric characters that uniquely identify a company’s individual product. The GTIN-12 number is part of the family of GS1 global data structures that employ 14 digits and can be encoded into various types of data carriers. Although, the initial UPC usage was focused on retail point of sale (POS), many other industries have adopted this coding structure. As of January 2005, there were significant changes to the terminology involving product barcode marking. Please visit our site home page www.gtin.info to learn more about the GTIN (Global Trade Identification Number) data structures. The first six to nine digits of a UPC are referred to as the “Company Prefix”, and they are assigned by a non-profit organization (GS1 US formerly the Uniform Code Council). This number uniquely identifies a company and always remains constant on all of a company’s products. The next set of digits is called the “product numbers.” Product numbers uniquely identify individual items. Unlike the GS1 Company Prefix, product numbers are arbitrarily assigned by each company. The twelfth character is called the “check digit”. Using some form of check digit generator (use our free check digit calculator) this digit is calculated using a mathematical calculation based on the first 11 digits of the UPC code. A common mistake companies make is creating their own UPC numbers. A company can not “make up” its own UPC number. To have a UPC code that will scan at Point of Sale, the UPC number must contain a GS1 assigned Company Prefix, also known as a manufacturer prefix. GS1 is the global standards organization for item/shipment identification and administers the assignment of GS1 Company Prefixes. Companies who need to obtain UPCs with a GS1 Company Prefix in their name should visit https://www.barcode.graphics/gs1-barcode-service. Please visit www.gs1-us.info for a complete overview on obtaining your GS1 Company Prefix or click on the image below to view a tutorial video. Using a check digit calculator with your 11 digit number, generate your check digit. Combining the above steps will result in a 12-digit UPC number. The main difference between a UPC-A and a UPC-E is the size of the barcode. The UPC-E is also called a 0-Suppressed UPC because the UPC-E compresses a normal 12 digit UPC-A number into a six digit code by “suppressing” the number system digit, trailing zeros in the manufacturers code and leading zeros in the product number. 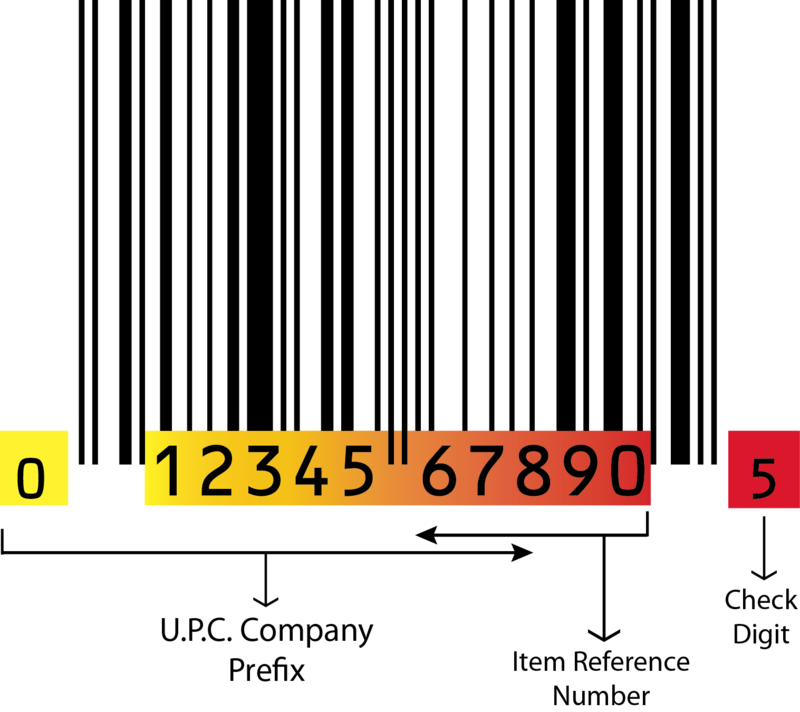 The seventh digit is a calculated check digit using the first 6 digits of the code. UPC-E can thus be uncompressed back into a standard UPC-A 12 digit number. Please note that some manufacturing code numbers beginning with “0” have this capability. And, any manufacturing code starting with a number other than “0.” cannot be zero-suppressed. DataBar and GS1-128 coupons currently contain a UPC code. However, the new GS-1 DataBar strips the UPC code from the coupon. Below displays the information encoded in a UPC coupon code. For more information please click here. Please be advised that there are third-party companies on the internet who offer to sell single UPC bar codes for discount $5 rates. Most of the main retailers will not accept their numbers and there are many online websites preying on unsuspecting new companies. Quite SIMPLY, buying “upc codes” from any organization other than GS1 puts you at risk for acceptance by retailers. There may be smaller retailers and online marketplaces which do not require a unique GS1 Company Prefix. However, if you plan on someday selling to any larger retailer in the future, you do not want to have your products marked with UPC barcodes which may not be accepted. Proper product identification is important! Please call us at 800-662-0701 x250 for assistance. There has been a dramatic increase in the dependency on UPC symbols, since companies are investing millions of dollars in computer systems and scanning equipment to take advantage of automatic data collection. 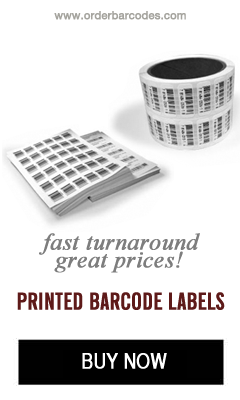 The foundation of these systems is contingent on barcode print quality. When symbols can not be read or decode incorrectly, the efficiency of these systems is brought to a halt. Consequently, many retailers are severely penalizing consumer goods manufacturers who furnish substandard UPC symbols.